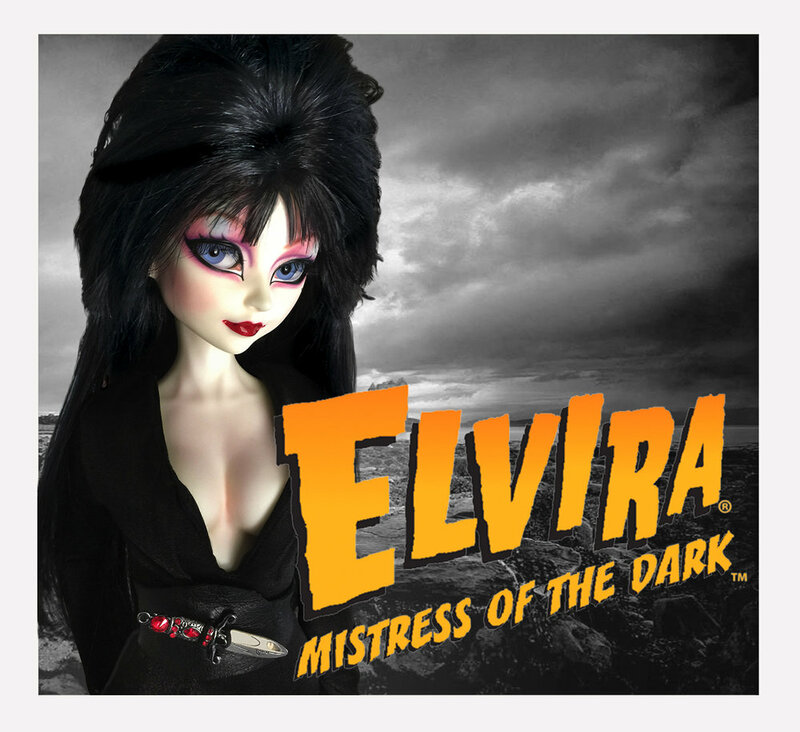 The Limited Elvira, Mistress of the Dark ball-jointed doll is OPEN for Pre-order! She is available in 1/4 and 1/3 sizes with our new body with double-jointed knees and high-heeled feet. See below. The ONLY Elvira Asian-style ball-jointed doll licensed by the Mistress of the Dark herself. Includes Certificate of Authenticity signed by Elvira! This is a limited edition. Dolls will ship within 4 - 6 months. The Elvira bjd is based on the Kirya head mold, with updated double-jointed knees and high-heeled feet. Note: This doll is not "anatomically correct" and is sanded smooth. The Elvira BJD limited preorder is open! Please note that only 100 dolls will be created. The Elvira bjd is based on the Kirya head mold, with updated double-jointed knees and high-heeled feet. She has large eyes and lips that are slightly parted. * Tan skin color comes in elf option only. * A Custom faceup is more detailed – and a bit nicer – than typical default faceups. When you order the Custom faceup option, send a contact through the site to let us know any preferences you might have. 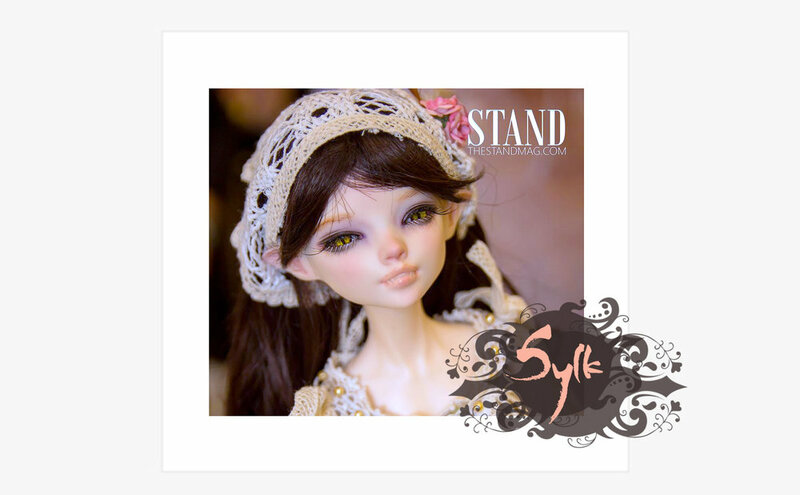 Or DollStories will create our own faceup for you. No two are exactly alike. Extras such as tattoos are not included, but contact DollStories to discuss and we can give you a price. Sylk is a 1/3 size vampire elf girl with dreaming eyes. She stands 53cm tall. Although a vampire, she is delicate and can seem vulnerable. All dolls are delivered with sanded seams. Kirya, or Valkyrie, means "chooser of the slain", derived from Old Norse valr "the slain" and kyrja "chooser". In Norse myth the Valkyries were maidens who led heroes killed in battle to Valhalla.